What looks like a panda, barks like a Beagle, and wont walk in the rain? Riley is my new puppy. Ive had him for about three weeks, but let me tell you, it feels more like three years. My boyfriend and I adopted him from a great local shelter, and we have been busy adjusting our lives ever since. 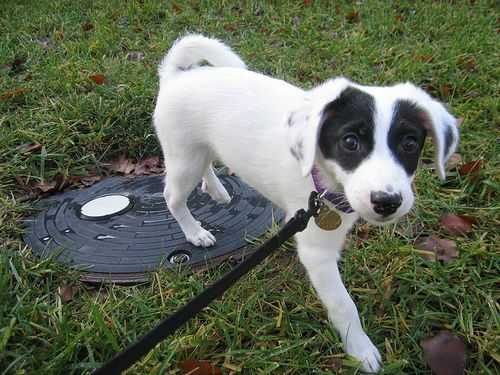 At nine weeks, Riley focuses on eating, drinking, playing, and sleeping — in that order. We, on the other hand, focus on teaching him his name and getting him to potty in the yard instead of the house. The first week was rough, but I think hes getting the hang of things now. Patience and consistency are the keys. As much as Im trying to teach him, I have to admit, Im learning ten times more. I read books and websites about the stages of puppyhood and various training techniques. I poll other dog-owners to find out what Im doing right, what Im doing wrong, and what I could be doing better. I get the scoop on vets and kennels, on dog food and toys. I live, breathe, and yes, sometimes even dream about Riley. Because hes my responsibility, and my pleasure. Its not really about the dog information, though. What Im actually learning is how to be a better person. By putting him first and taking all these steps to ensure his proper growth, I am growing too. I am maturing into a (more) responsible, mindful, and unselfish caretaker. As an added bonus, my relationship is thriving. Before Andy and I got Riley, my cousin told me that adopting a dog was the best thing she and her husband had ever done. At the time I sort of chuckled and said Sure in a dubious tone, but now I understand. Since Riley came into our lives, Andy and I have been doing better than ever. 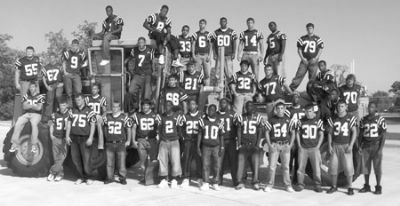 Were learning to work as a team toward a common goal, to depend on each other and do our fair share, and to appreciate each other to the fullest degree. but he is so worth it! When I hold up a treat and say, Riley, sit, and he stares at me with those big brown eyes, I melt. I know he doesnt get it, but thats okay. I dont get him either. In time, though, we will understand each other, and that will be the real treat for both of us. The Christmas season seems to hit me with a vengeance in my more advanced years. The season starts too early and then, all of a sudden, it is over. Im never ready for the season to begin and I am never ready for it to end. About the only time I do any shopping is during this season and am not much in favor of the tasks at hand then. If someone would ever tell me I would never been about to shop again I dont think I would mind at all. It just isnt my style. Am not too long away for having to shop for a car again and that is always at the bottom of my list. I look at a few cars and am ready to give it all up. Thank goodness my better half is more patient. Earlier this month Crosby had its Christmas Festival, Highlandshad its Festival and Tree Lighting and the Star-Courier is coming upon the issue that includes all of the wee ones Letters to Santa. I look forward to that event and it will probably be the same edition that these words are published. The kids lead the way at Christmas time and that is good. However, it is a time for all of usfor family enjoyment, for gift exchanges, for giving to others who have that need and for giving thanks to the Lord for all the blessings of the past year. The Springers have had many. I had the old Santa Claus thing all figured out when I was amongst the younger set. The PittsburghWheeling area had a department store chain named Stone & Thomas. The main store in downtown Wheeling had about ten floors and the sixth floor always turned into a complete toy land. I lived for my visits to that toy land and the huge model train displays. The visits were all too short and ended with a visit to the store Santa. As long as I can remember I always knew THAT was the real Santa. Those at other stores were only his helpers. You couldnt fool me! Have one more major task before it is time to leave these parts and head for Texas. Will be in the pulpit of my home church on December 30 (my fifth trip there this year) as our minister will be on vacation that last 2007 Sunday. Two days later we will crawl into our aging Cad and head for your parts pardoner. By the end of the Twelve Days of Christmas (Jan. 6) we should be nestled along Sea Palms Drive, Newport. It will be good to see Crosby, the daily visits with Sea Palms neighbors, walking Maggie along Sea Palms and Challenger, attending service again with Texas friends at the Crosby Methodist Church and seeing relatively new friends elsewhere in Crosby, Huffman, Dayton, Etc. You live in a fine community area and we always enjoy our visits. Merry Christmas to you and your loved ones!! Just did get the onion sets in the ground Saturday before the rains came. Wish I had bought a couple more bundles of the little onions now; they are right tasty at maturity. Folks that live up country a bit do not have the benefit of a growing season such as ours here on the Gulf Coast. The Mrs. made a rather odd statement the other evening stating she would like to move to the Smokey Mountains after she and I retire. Sell this place and get one up there. If that aint up country, there aint a cow in Texas. I mentioned in no uncertain terms that we aint bears. Anyway, after a whole lot of pointing and clicking utilizing GOOGLE to search various pieces of real estate in or around the Smokey Mountains some interesting points were observed. Not only does it snow up there, those states being Georgia, Tennessee, South Carolina and North Carolina also have state income taxes. Tennessee does not tax wages but will tap your dividend and interest income. There is barely any regular one story houses in the Smokeys, the majority are two story log cabins and only have two bedrooms. 95% of the places have hot tubs and we had one of them before; not to mention they are built on a cliff or hillside on poles. I was bound to find as many excuses as possible to keep from moving to the Smokey Mountains without making her too unhappy. Summer time traffic in the Smokeys is horrendous and that too is another deterrent, the Smokeys have been found so to speak. Over dinner at El Toro on Bayway, we talked further of moving to the Smokeys when I began one by one of the negatives of moving from here. Not to mention not having any good Mexican food up there. They dont know what fajitas are either. The thought of moving from this little house along the banks of Goose Creek after 29 years is frightening. If youve been investing for a while, you probably have learned to avoid key mistakes, such as making frequent trades based on short-term price fluctuations. But even if you invest wisely and are able to retire comfortably, you could still make some errors in your estate planning – and these miscues could prove costly and painful to your family. *Communicate with your family. To reduce the possibility of hurt feelings and damaged relationships within your family after youre gone, make sure that everyone knows what they can expect from the disposition of your estate plan. Tell your children how much money they can expect – and when. (If you decide to establish a trust, you can arrange for money to be disbursed over various periods of time, or when your children reach a given age.) Are you going to leave a considerable amount of your assets to charities? Let your family know. *Update your beneficiaries. Many of your financial assets – including your IRA, 401(k), annuities, life insurance contracts and some government bonds – allow you to designate a beneficiary. Its important to name both a primary beneficiary and a contingent beneficiary (an individual or trust who will receive the assets if the primary beneficiary dies before you). Beneficiary designations supersede whatever instructions may be in your will, so its essential that you update your beneficiary designations whenever your family situation changes. Its not uncommon for assets to go to the wrong beneficiaries (e.g., spouses from earlier marriages) or to bypass children born after the initial beneficiary designation was made. *Maintain adequate liquidity. Its not always easy to know the amount of cash (liquid investments) you should keep in your investment portfolio. But as you prepare your estate plans, keep in mind that its usually a good idea to have at least enough cash available to help your family pay for any final expenses. *Choose the right executor. When you choose an executor for your estate, youll want someone who has the time to devote to the sometimes long and protracted estate administration process. You also want to make sure that your executor will be fair, knowledgeable and free of conflicts of interest. *Keep good records. Your executor and your family will need to know where your assets are located – your bank accounts, insurance policies, investments, retirement plans, etc. By maintaining an orderly record system throughout your life, you can make it much easier on everyone when its time for your estate to be settled. *Get professional help. You may require a variety of legal documents and arrangements – a will, various trusts, powers of attorney, health care directive, etc. – to complete your estate plans. Consequently, you will need to work with a competent legal professional, along with your financial and tax advisors. The right estate-planning team can help you avoid many of the mistakes that disrupt peoples estate plans. Heres one final suggestion: Dont wait too long to start your estate plans. They can take some time to develop, so the sooner you get them in the books, the better. Crosbys JJ Worthen releases new C.D. 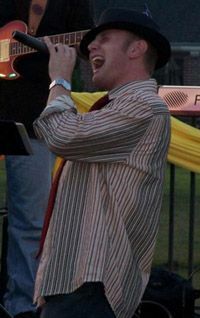 CROSBY– Friends and family of Crosby product JJ Worthen knew that he had a good singing voice even before he won Channel 2s Gimme the Mike Houston contest in December 2004. Now, they can listen to him anytime they like. Worthens full-length debut CD Devotee went on sale to the public Dec. 16. A CD release party is planned for Jan. 5 at Warehouse Live, 813 St. Emannuel in Houston. The doors open at 6 p.m. with the concert starting at 7 p.m.
A graduate of Houston Baptist University with a degree in music theory and composition when not in the studio Worthen can be found singing for the Lord at Riverpointe Community Church in Richmond. Through his music and ministry, Worthen has touched lives around the world. He traveled with the ministries of Focus and Refuge from 2003 to 2006. During the summer of 2000 he toured with the Continental Singers, traveling through 14 states in the Northwest United States. In the summer of 2001 he traveled to England and Scotland with the First Methodist Church of Houston, Downtown to sing in the International Church Music Festival in Coventry, England for BBC Radio. 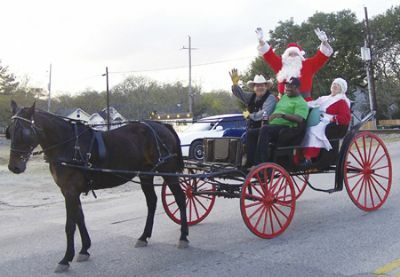 The Staff of the STAR-COURIER and PRESS are on vacation during Christmas Week, and there will not be a newspaper dated December 27, 2007. The next issue of the newspapers will be January 3, 2008. During our absence, you can keep up to date with stories posted regularly on this website. CROSBY  An alert real estate agent and equally diligent Precinct 3 Deputies netted a burglary confession, at least 310 grams of methamphetamine and a small lab for the manufacture of the controlled substance on Saturday, Dec. 8. Just about one year ago, Century 21 Life Changers was broken into and this year there was another break-in. The integrity of personal information and all keys stayed out of perpetrator hands. One alleged and later confessed burglar was still at the scene when Roger Nelson went to work that morning. Nelson saw a Dodge Dakota leaving the parking lot of the adjacent business and noticed that the office had been burglarized. Most of the office had been stripped, wires to information systems and telephone lines had been cut. Officers say the door had been pried and kicked open. He decided to follow that Dakota, and call the boss, Broker Don Cox. Around Newport Subdivision it went in what Nelson described as an inappropriate pattern. I think I did what anyone would have done. The vehicle had boxes on top of the cabin so I decided I would follow it and get the license number from three or four car lengths behind. I just wish I had called 911 instead first. said Nelson. Not knowing if the suspect was armed, Nelson wisely denied he was and as she turned left on N. Diamondhead he turned right and went back to the office. There Mr. Cox and Precinct 3 Deputies awaited. He had made the right move. The plates came back to deputies as belonging to a Toyota, not a Dakota. Deputies DeLeon, and Grishom began an organized hunt with other deputies. Precinct 3 Deputy Ray DeLeon tracked the vehicle to a trailer park on Reidland Road near Gum Gully. His investigation with park management indicated that someone had just arrived with boxes on top of her vehicle and had said she just returned from a trip to her mothers house with the items. They directed him to a certain trailer. Deputy Jerry Grishom joined the hunt and saw with DeLeon that the suspect vehicle had hypodermic syringes inside as well as Century 21 labeled computer discs. Deputies Susy Griest and Vince Perry joined the scene. When deputies knocked on the door, it opened and they immediately saw items obviously taken from the real estate office, including a rolling measurer, and computer equipment. Deputies obtained a consent to search. During conversations with Griest and Perry, a male suspect was also taken into custody and conversation continued with the prime suspect including two discussions of methamphetamine. Officer Perry found about 310 grams of what tested positive for Methamphetamine. HAZMAT and Harris County Sheriffs Narcotics Officers were called in when it became obvious there was more that a simple burglary involved. When the S.O.s office showed up they knew the suspects on a first name basis without introduction, according to Officer Perry. The authorities confirmed a small device to manufacture meth was found and sources say a suspect 600 grams of the controlled substance may have been in total being processed. 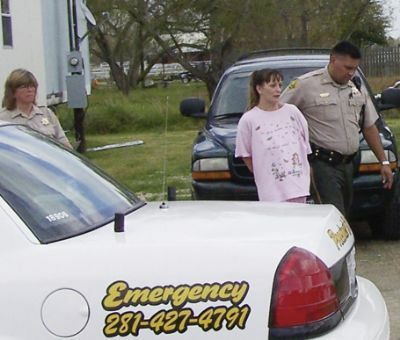 Sources say Michelle Betros had convictions in 1996, 1999, 2003, 2004, and 2006 including one federal charge. She was charged with felony theft and possession of a controlled substance with intent to distribute. The man was also charged with possession of the drugs. Another arrest was made Monday on unrelated charges. Someone had to help her load the vehicle. 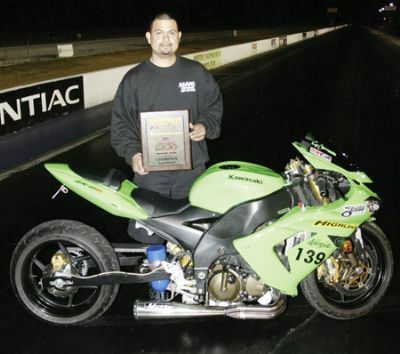 HIGHLANDS  Gilbert Coronado, 35, of Highlands Kawasakis Team Green won the 19th Annual Prostar World Finals (motorcycle drag-racing) on November 12 in Gainesville, Florida. He thus became Champion of the Real Street World Competition having been the only Kawasaki to tree at the event with a time in the 8.5s seconds in the quarter mile. In fact Highlands Kawasaki entered the only named brand to run in that class. Jason Thompson of Highlands, head mechanic of Highlands Team Green, built the winning bike in two days, on a Kawasaki ZX10. The bike tested during qualifying. As always a few issues popped up including; the clutch was slipping. Gilbert with Thompsons mechanical engineering qualified second. There was no way to fix the clutch without going back to the shop so they nurtured the clutch the entire weekend of competition. The motorcycle was under multiple adjustments by Thompson and the racing team the entire time between November 9 through 12. Gilbert Coronado is planning to marry Sarah Reyna in March of 2008.